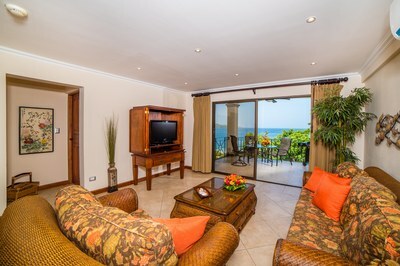 Oceanica 804: Stunning Flamingo Beach Ocean View Condo in Oceanica! 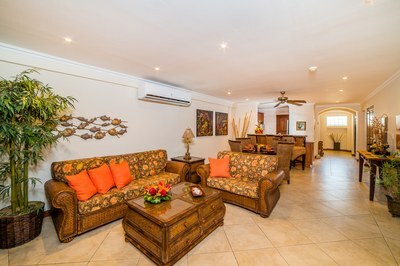 Be in the heart of Flamingo while enjoying stunning ocean views in this well appointed 2-bedroom, 2-bath condo located in the Oceanica development of Playa Flamingo. 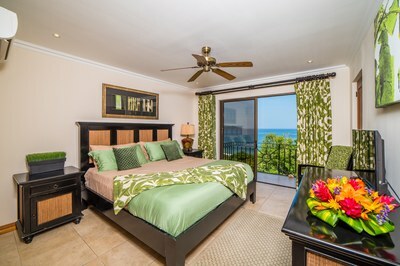 Walk to Flamingo Beach in three minutes! 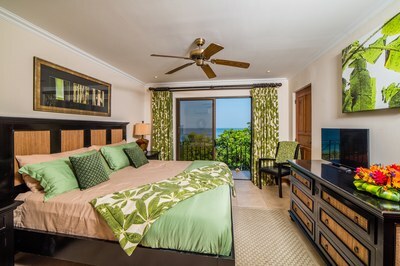 And the views of Flamingo Beach from this home will take your breath away! 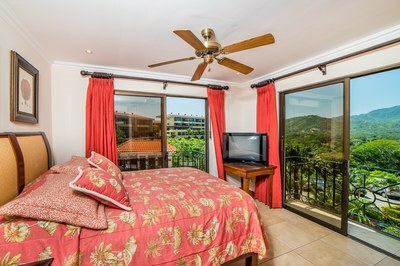 Be in the heart of Flamingo while enjoying stunning ocean views in this well appointed 2-bedroom, 2-bath condo located in the Oceanica development of Playa Flamingo. 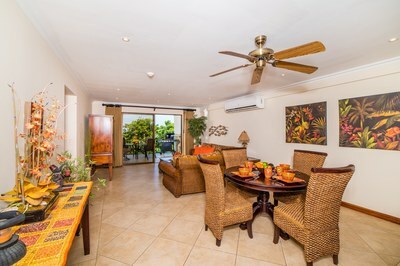 Walk to Flamingo Beach in three minutes! 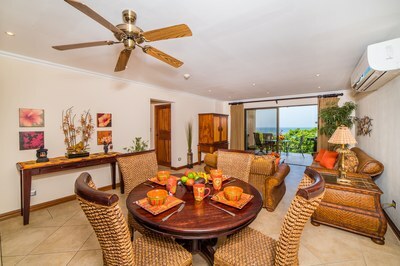 And the views of Flamingo Beach from this home will take your breath away! 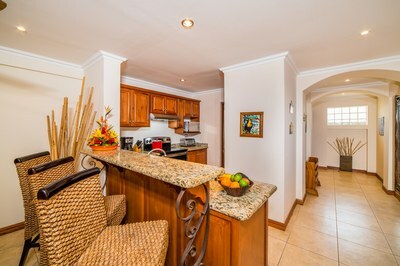 This home features a beautiful and well-equipped kitchen, complete with granite countertops, stainless steel appliances, a large breakfast bar, and all of the small kitchen appliances you need to enjoy your vacation here. 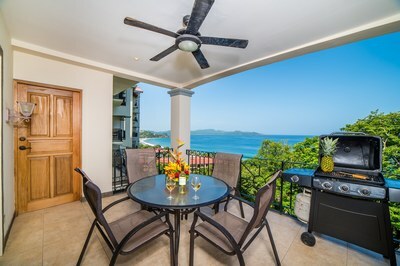 The kitchen and dining area open beautifully into the living room and extra-large terrace, giving your stellar views from every room in this home. 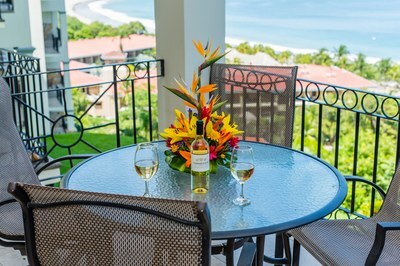 There is plenty of room on the terrace to dine outside while listening to the waves, watching the whales, and enjoying expansive views of Flamingo Beach. 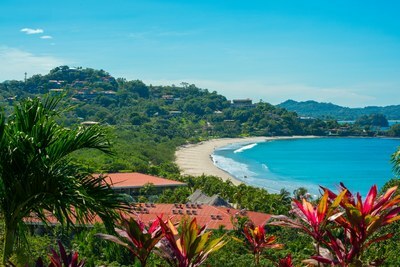 This home enjoys one of the best views in Costa Rica, and perhaps in the world. 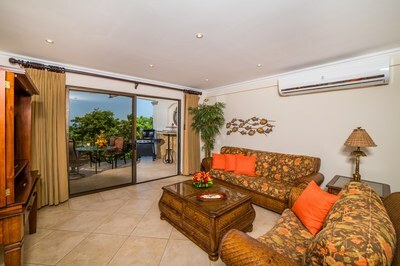 Dine inside or outside with two separate 4-person dining room tables and a large grill on the terrace. 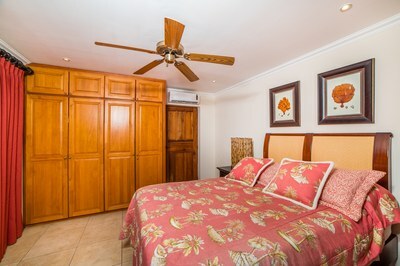 The condo has a spacious master bedroom with a king-sized bed and en-suite bathroom and a second bedroom with a queen-sized bed. 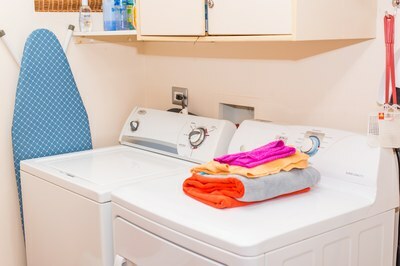 There is also a large laundry room with a full-sized washer and dryer. 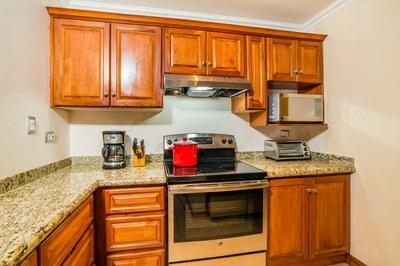 The condo has been professionally decorated and is in one of the hottest vacation rental complexes in Flamingo. 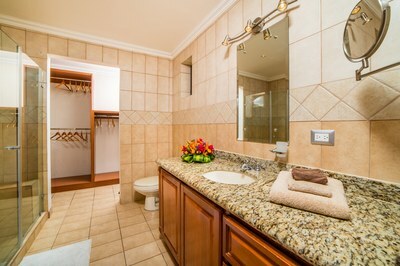 suite bathroom and a second bedroom with a queen-sized bed. 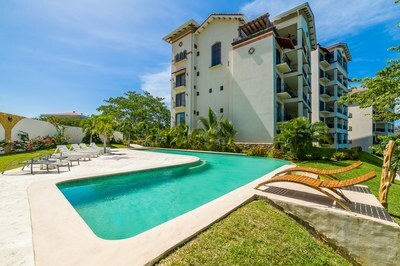 The Oceanica development offers a large and beautiful pool with sections of the pool receiving full sun and other sections located nicely in the shade. 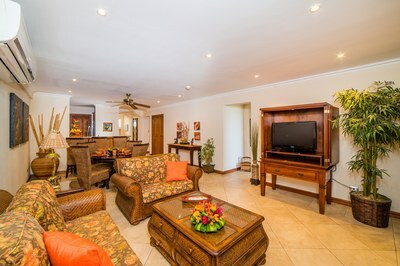 Next to the pool is a large covered and well-equipped a the outdoor palapa with a large community gas grill, outdoor sinks and large ceiling fans, perfect for outdoor entertaining. 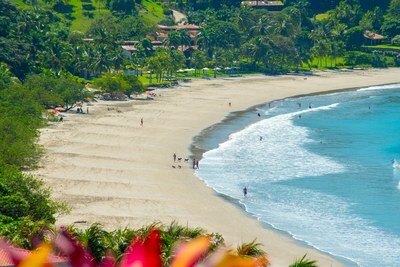 Oceanica also gorgeous landscaped gardens, 24-hour security with on-site guards, parking spaces and elevators. 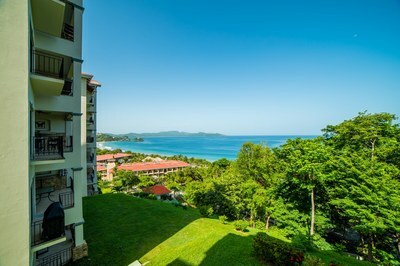 The development is a quick three-minute walk to Flamingo Beach, where there is an abundance of beachside restaurants, snorkeling, stand-up paddle boarding, boogie boarding, kayaking, and fishing. 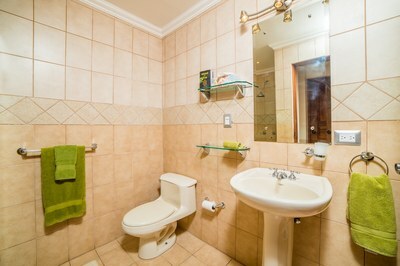 Walking distance to restaurants, grocery stores, shops, and the pharmacy. 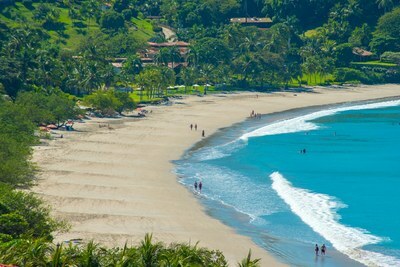 Medical and dental services are also located within a 10- minute drive.